I went to Sydney over the last weekend to visit my friend Louise (yes the same one from the Tasmanian adventure) and to attend the Future Music Festival. Louise, being the fabulous host she is, arranged for a number of other awesome activities, one of which was to attend a thing called Write Club. Louise originally started Write Club as a way for young amateur writers around Sydney to get together to have an audience for their work. The basic premise of the night is to read you works aloud, the others there will offer feedback, and there is drinking. I am planning to write an entry on the Write Club experience in the coming days, however I thought I would start off the process with some of the photos I took there, there are a bit arty, if I do say so myself. 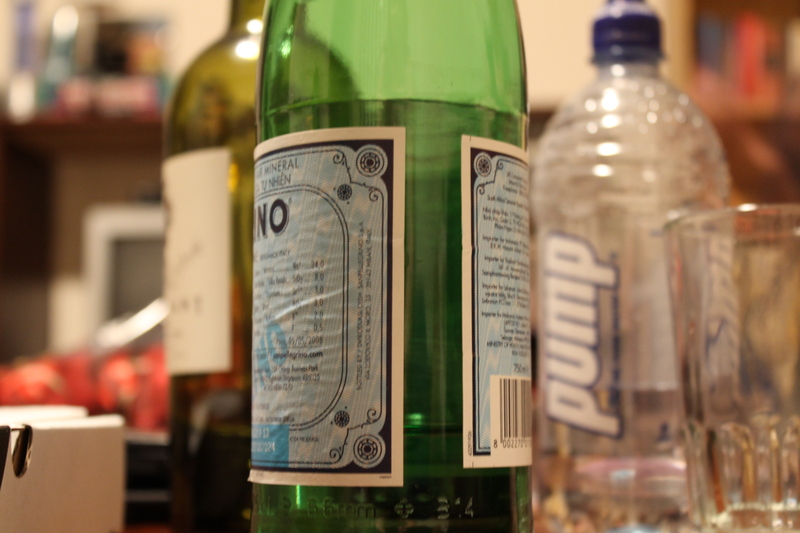 This is a photo of the table after the drinking had begun; I don’t drink alcohol so the San Pelegrino and the Pump are mine, the red wine was Arrogant Frog and was shared by Louise and the two other writers there. 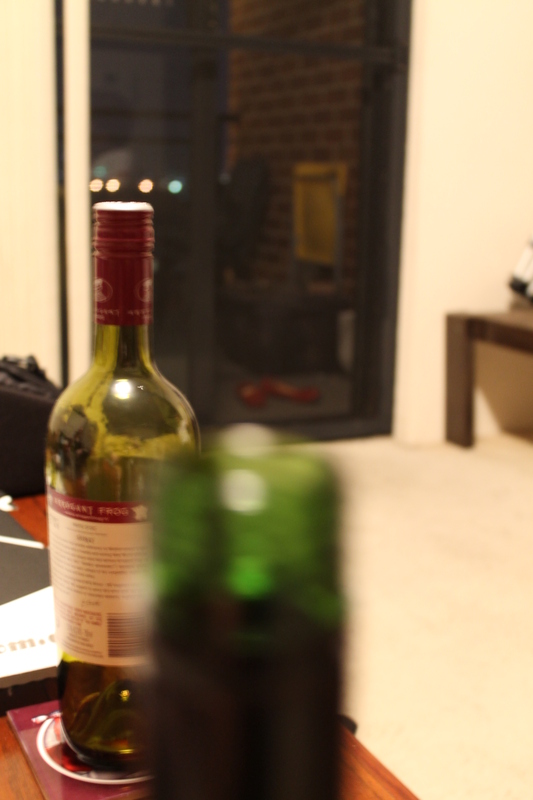 I actually just put the camera on the table and clicked to get this picture, I thought it was rather inspired. 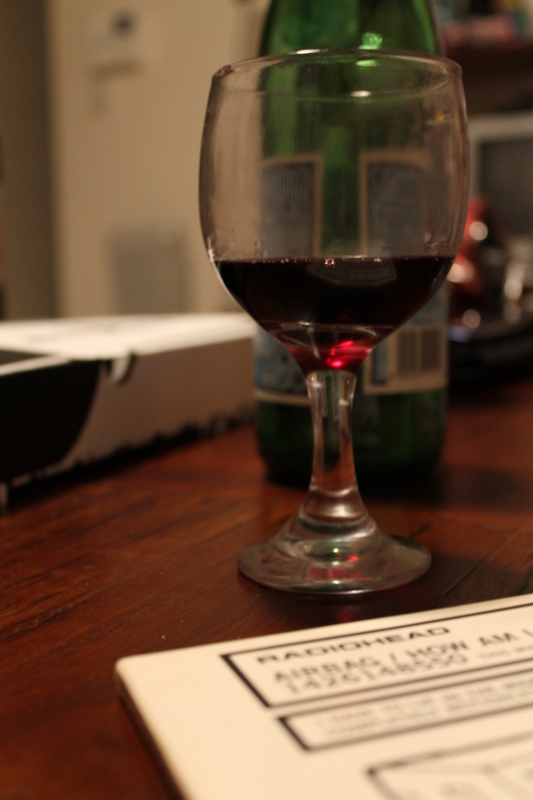 This is quite representative of the topics of conversation after the reading had finished; wine and Radiohead. We were all Radiohead fans and the host of the event was playing some of their stuff on his acoustic guitar. After two bottles of wine having been consumed they made a lovely photo. 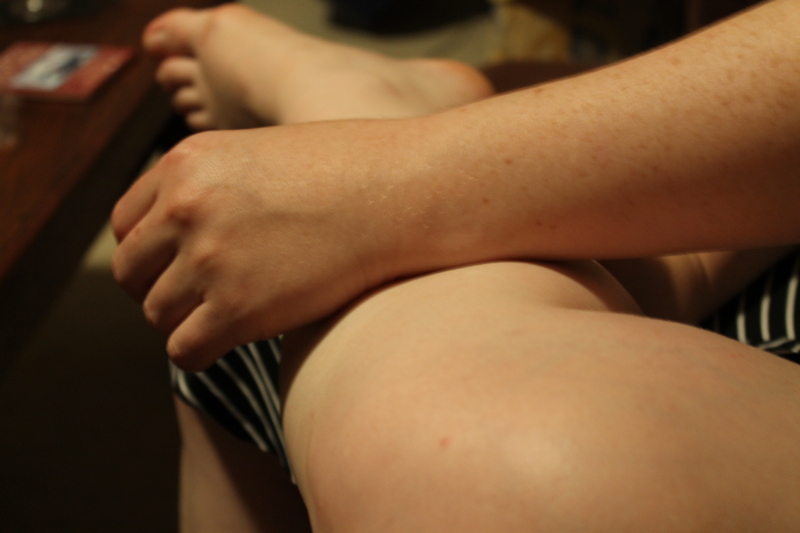 This last shot is of Louise’s leg and hand – I thought the light in this was nice. Additional posts about Sydney will follow including a proper rundown of Write Club and my review of Future Music Festival.